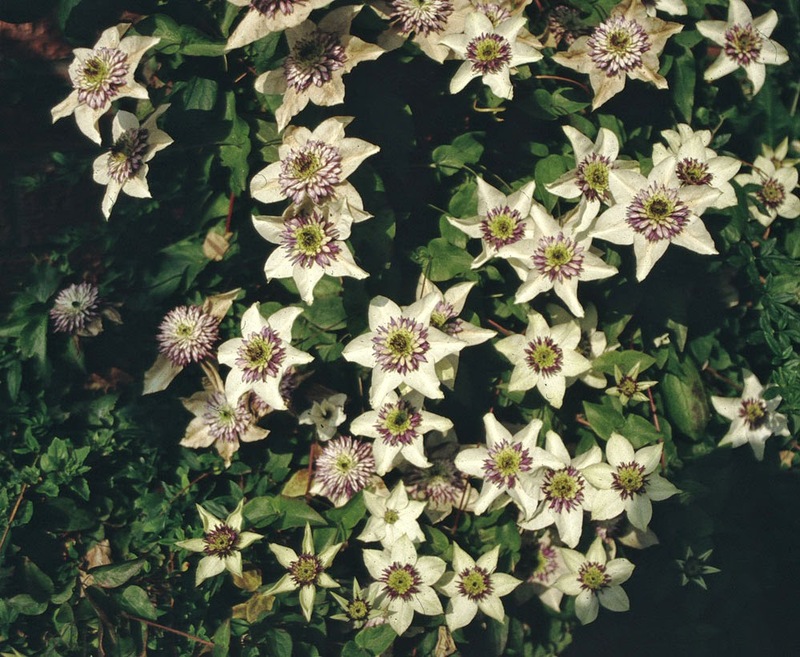 Clematis flammula – native to Portugal, blooms from April to August, aromatic white star flowers in clusters. 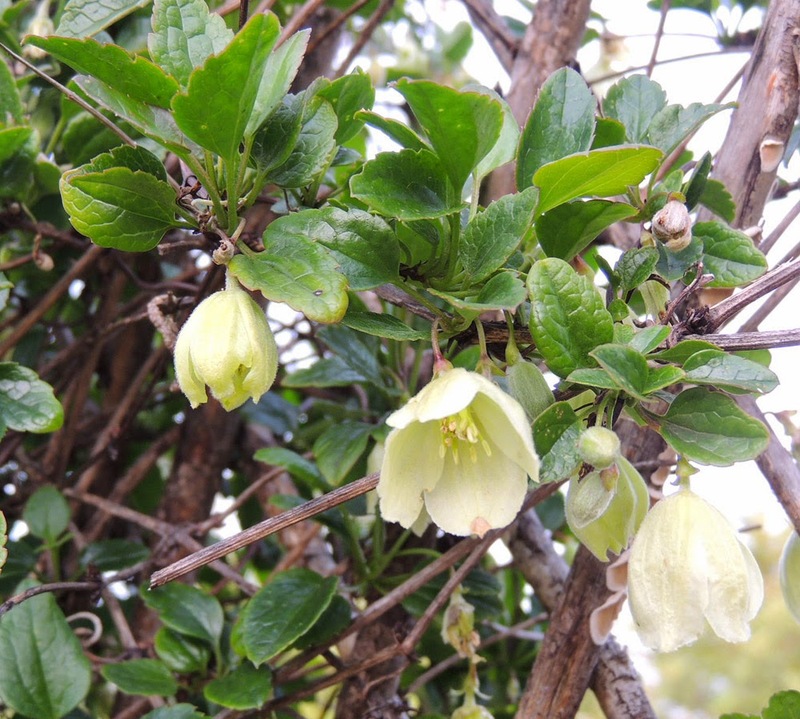 C. cirrhosa – native to Portugal, blooms from September to March, pendulous bell shaped white flowers, single or in groups. C. cirrhosa var. 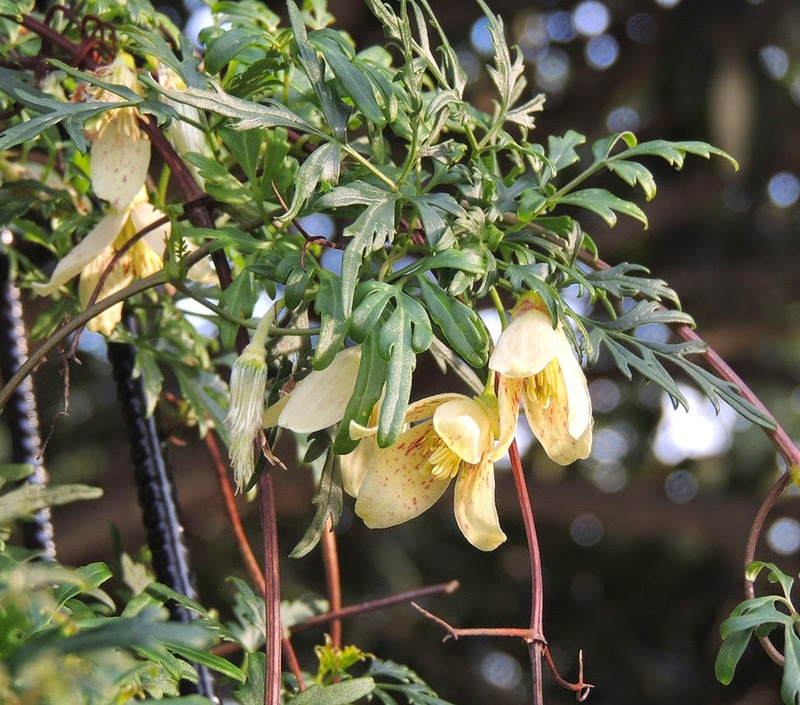 balearica - an evergreen climber with small, very finely cut, dark green leaves turn bronze-purple in winter. Slightly fragrant, cup-shaped creamy-yellow flowers to 6cm wide, spotted purple within, produced in late winter and early spring followed by fluffy seed-heads, summer deciduous. 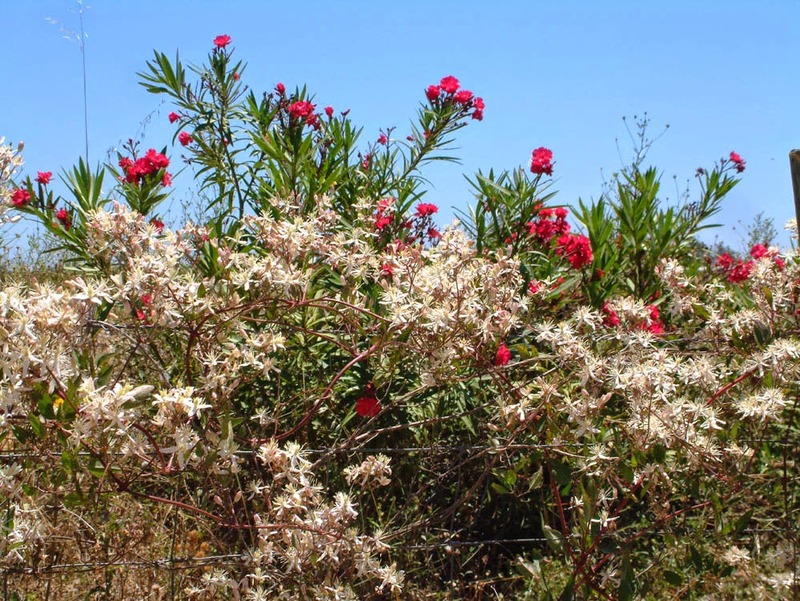 C. viticella – Mediterranean native, excellent for growing through trees and bushes and extremely tough, can survive temperatures down to -35. C. napaulensis – from China but not frost tolerant, summer deciduous, winter flowering. C. clematis florida sieboldii - White double flowers with deep purple centre. Often mistaken for a passionflowers, excellent for containers with long flowering season. C. mandshurica – herbaceous, masses of white star shaped aniseed scented flowers, closely related to C. recta. Mike Brown - an enthusiastic grower of all types of clematis for over 40 years, specialising in small flowered clematis and growing clematis from seed. A Past Chairman of the British Clematis Society and active member of The International Clematis Society since its formation in 1984. National Plant Collection Holder of Herbaceous Clematis but this only accounts for about 125 different types. In his Oxfordshire garden about a third of an acre in the UK he grows well over 300 different types of clematis, in island beds and amongst normal garden flowers.